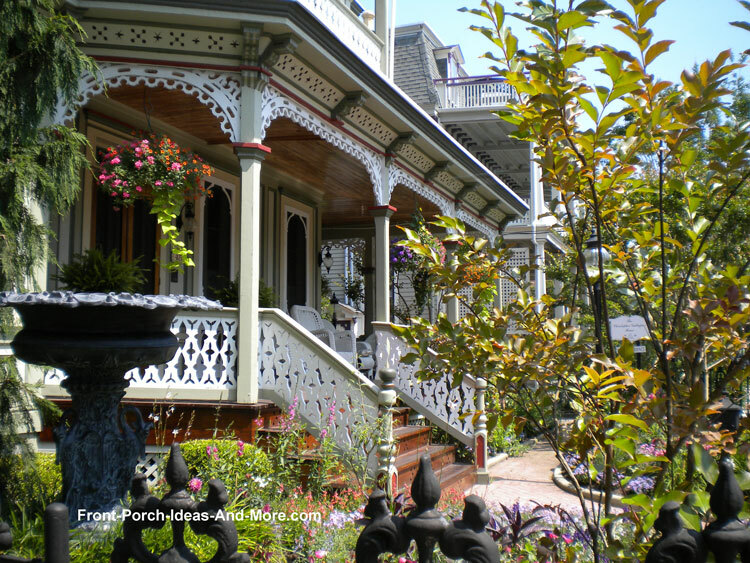 Mary and I traveled to Cape May NJ to bring you pictures of exquisite Victorian porches. 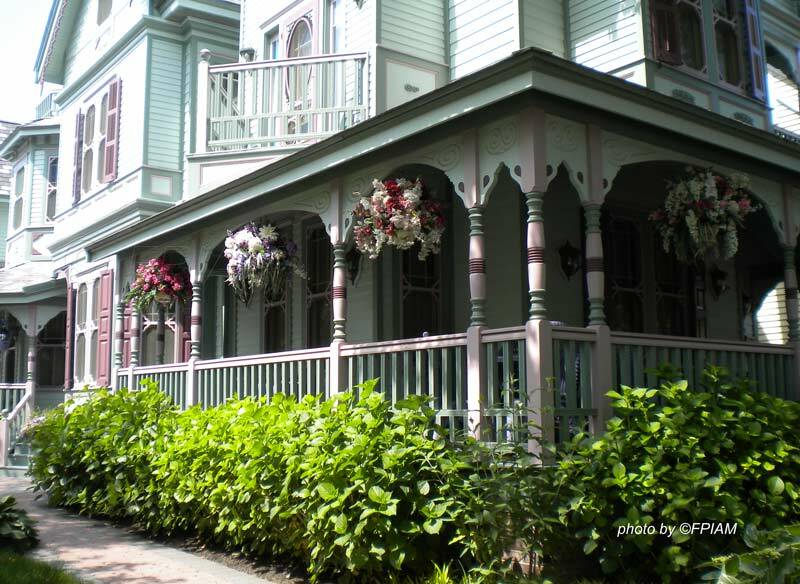 The trip was a sure joy as we entered Cape May on a beautiful spring day. Sun shining, a cool breeze blowing off the ocean, and a walk around town proved to be more than we had envisioned. 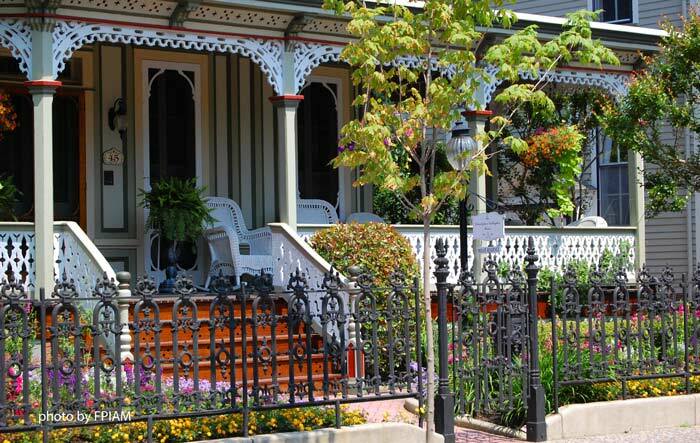 Street after street revealed wonderfully decorated Victorian style houses with elaborately decorated porches. 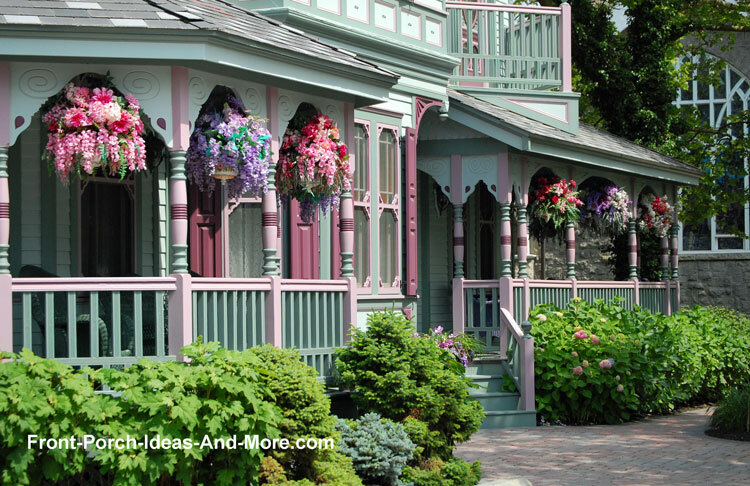 Imagine living in a gorgeous Cape May home. 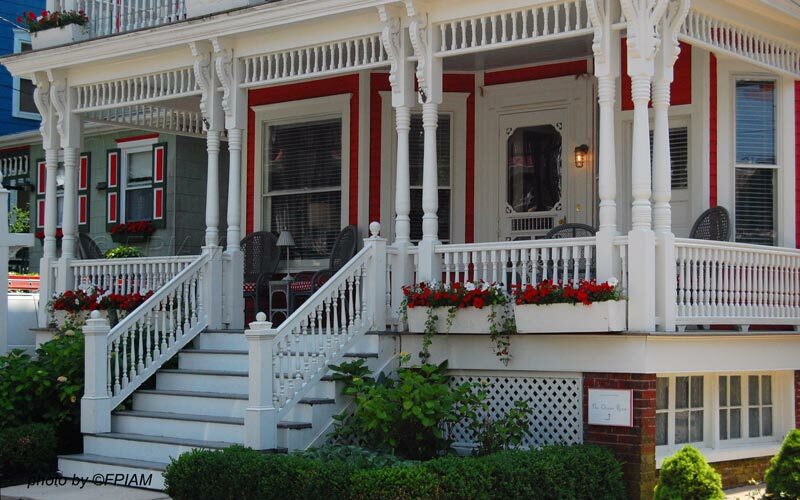 This was one of our favorite Cape May home. 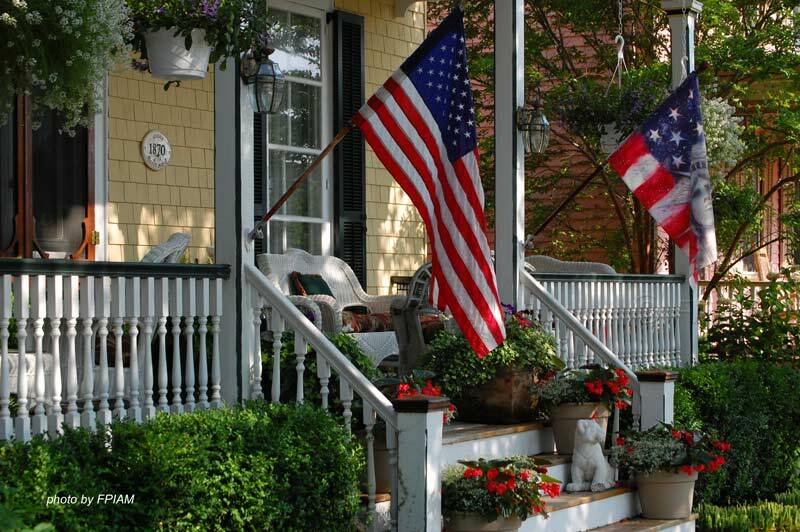 So very patriotic and lovely! The bright blue planters looks Absolutely beautiful against the color scheme of this home. 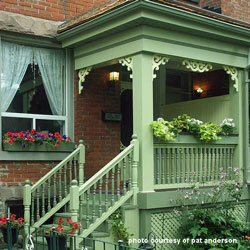 Perhaps not a Victorian porch in the truest sense, it stood out as one we are most delighted to share with you. 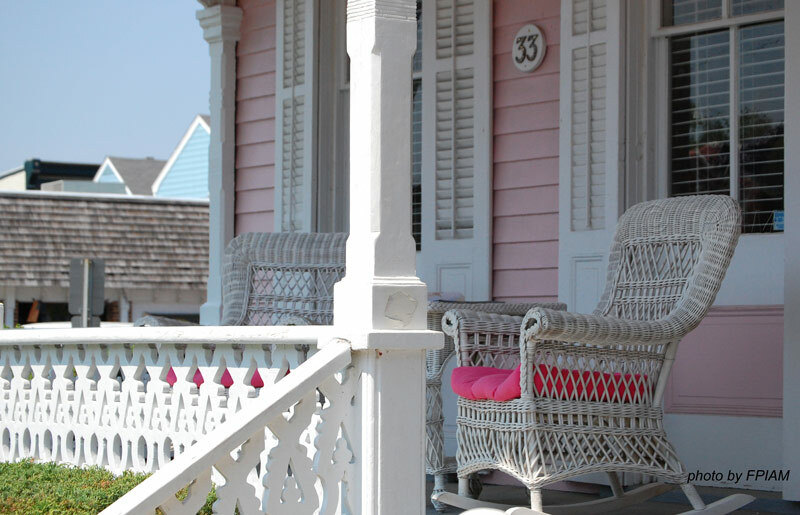 The details in these porches are something to behold. 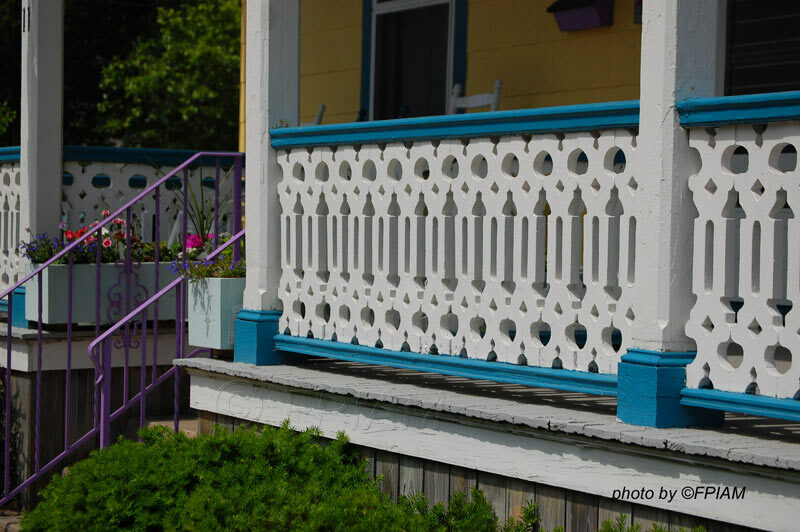 We tried to capture railing details, brackets, color combinations, and other details to give you creative ideas to make your own Cape May home. 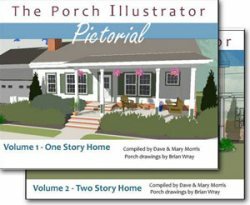 We enjoyed taking these porch pictures to share with you. After a perfect day of "porch looking" we took a leisurely trip back to Lewes DE on the Cape May ferry. The folks on board the Cape May-Lewes Ferry were friendly and the ride was wonderful. We highly recommend it. 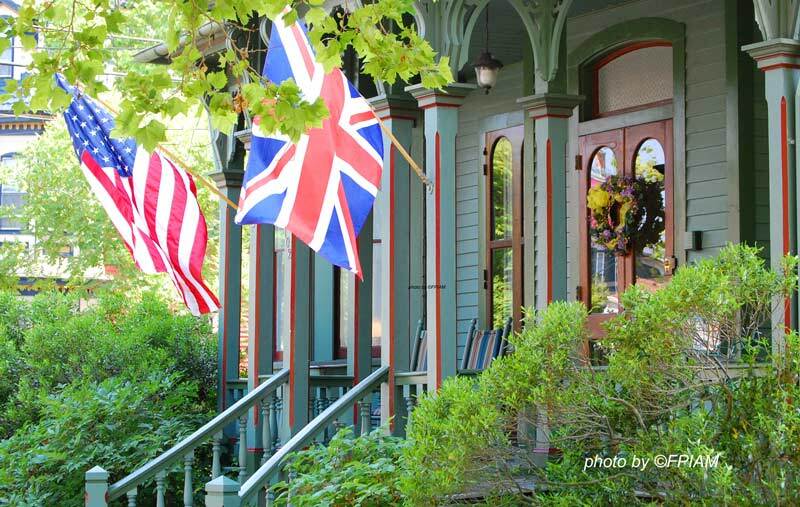 If you are looking at Victorian porches to glean porch decorating ideas, we know you'll enjoy studying our photo gallery. 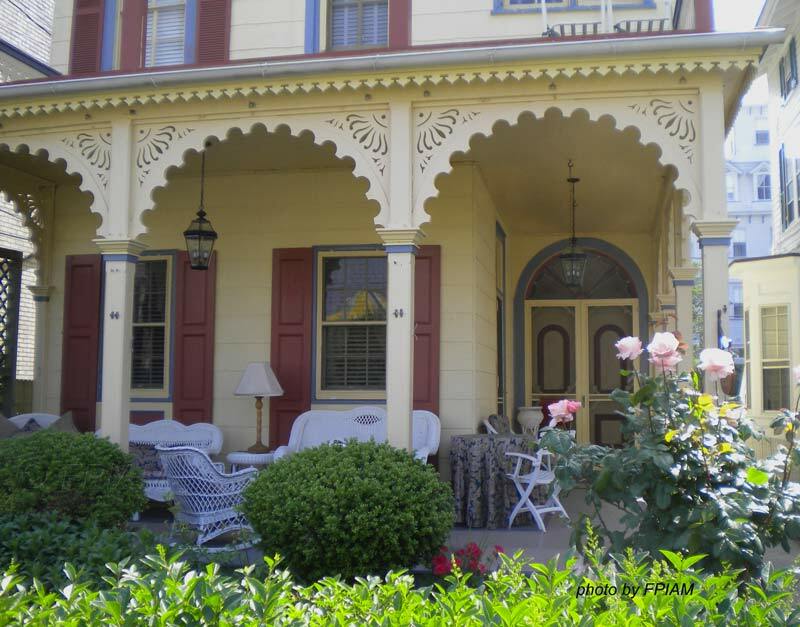 Note the ornate column brackets on this Victorian. 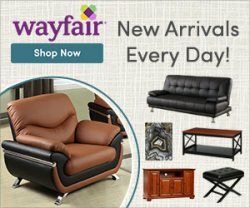 They add flair and lots of appeal. Not seen often but a nice way to enjoy the outdoors. 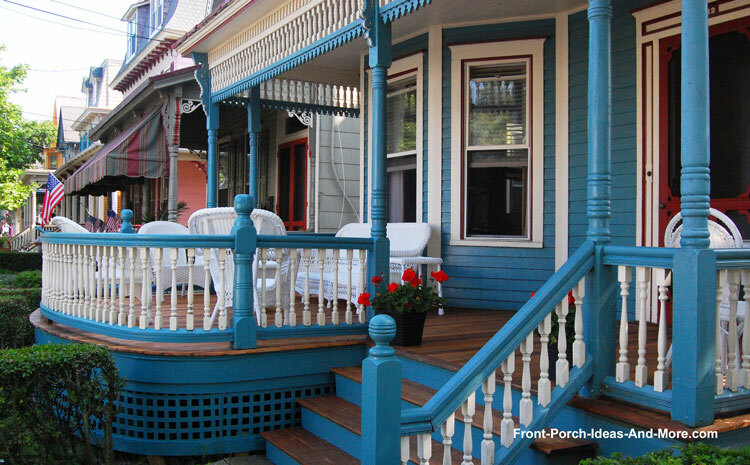 This Victorian porch has a deck-like extension providing additional space. 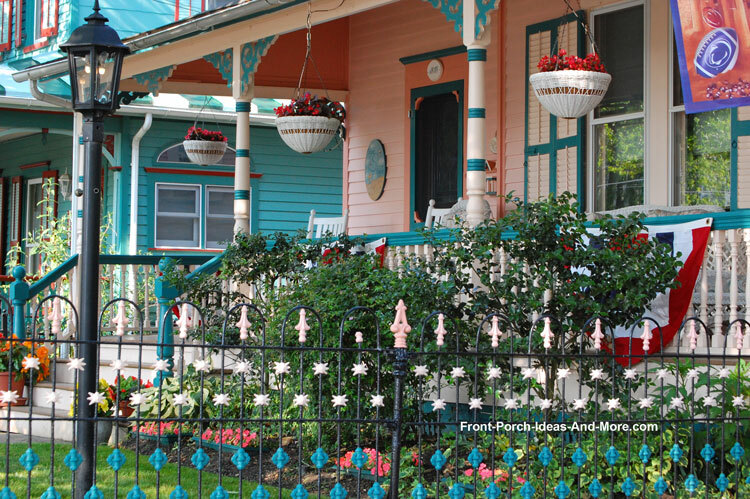 Note the wrought iron fence which has ornamentation painted the trim color of the porch. Little details like that help to create the overall appeal. 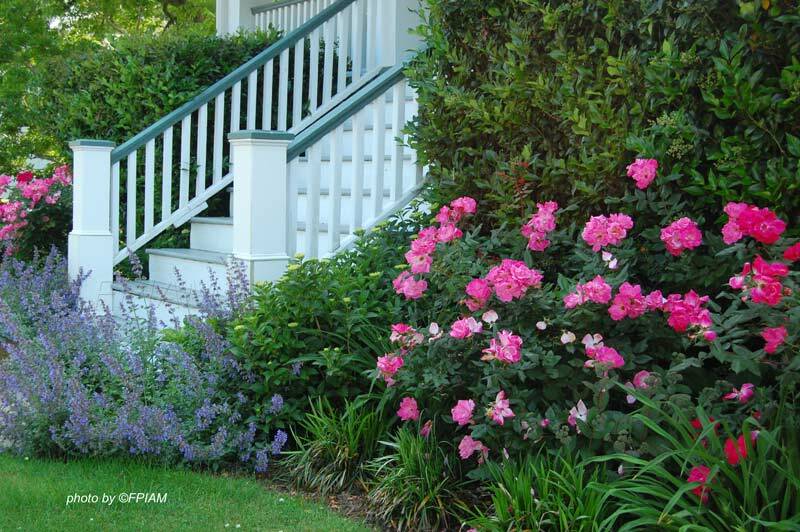 Really pleasing perennial landscaping around the front porch. 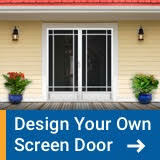 The proper landscaping can significantly increase the curb appeal of any porch and home. 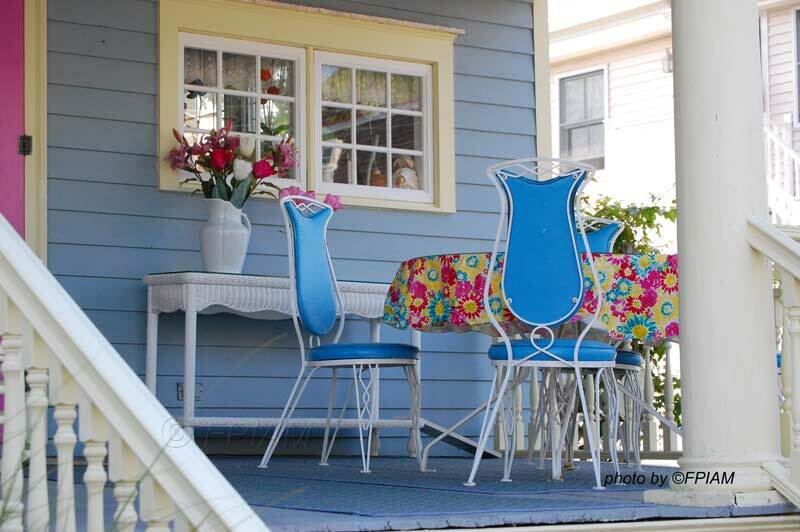 A most colorful front porch with appealing porch curtains. 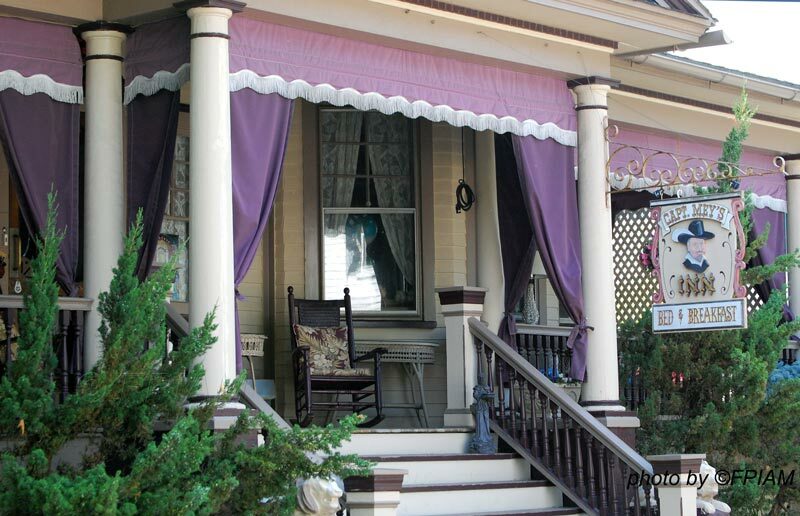 Porch curtains not only add appeal but also protection from the weather and pesky insects too. 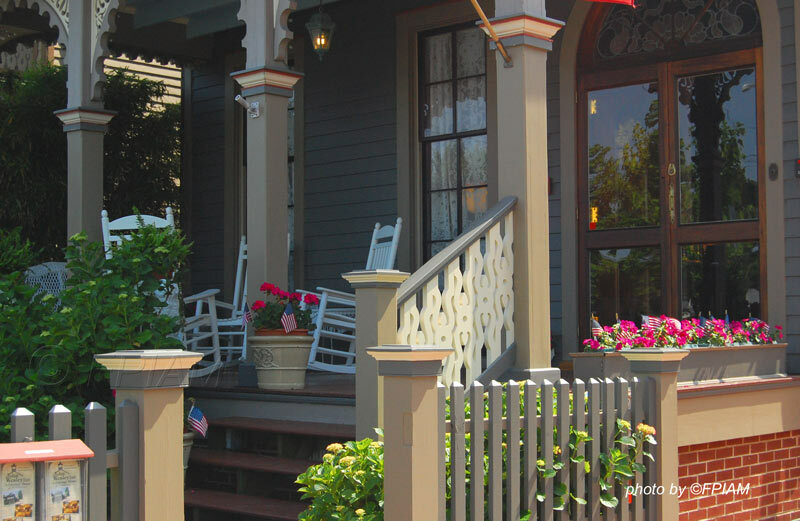 This porch has double turned porch columns and column brackets as exterior house trim. 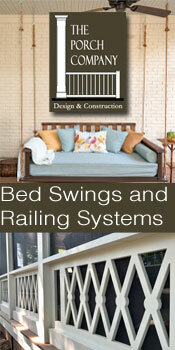 You can create this look and others easily for your porch - see our porch column section for ideas. 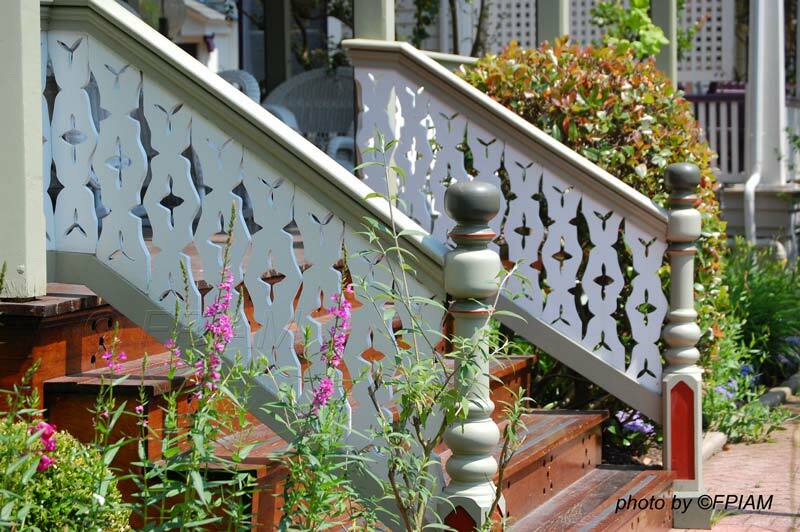 A sawn porch balustrade and wildflower-type landscaping adorn this Victorian home. 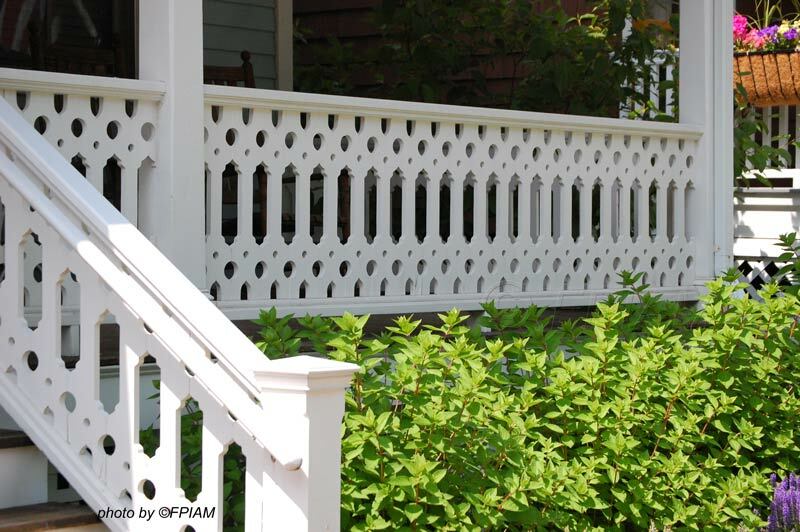 Sawn balusters are quite common on Victorians along with other exterior house trim. 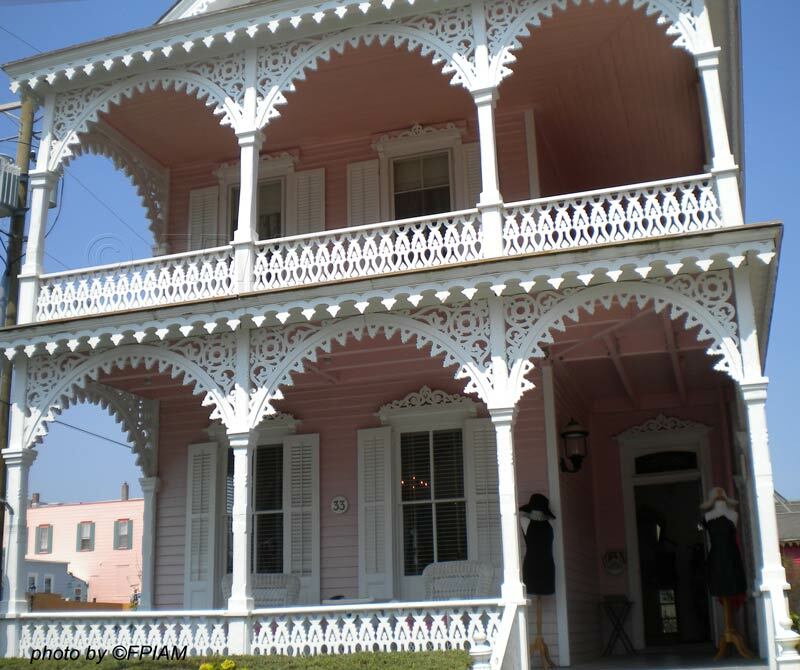 A great example of a home with exquisite exterior house trim showing sawn balustrades and column brackets. 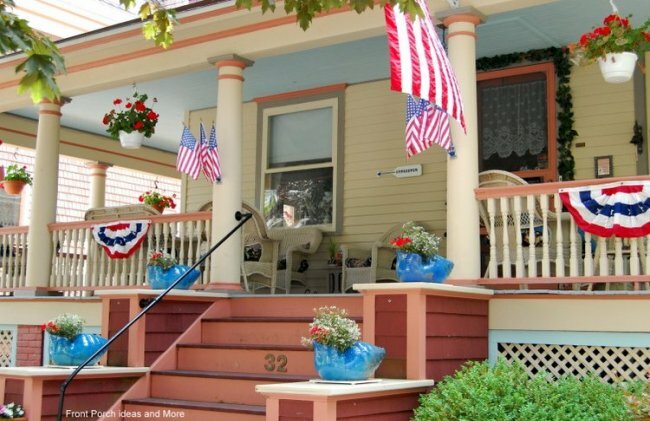 The next two photos are a beautiful example of an exquisite Victorian front porch - now that has real curb appeal. Think pink. 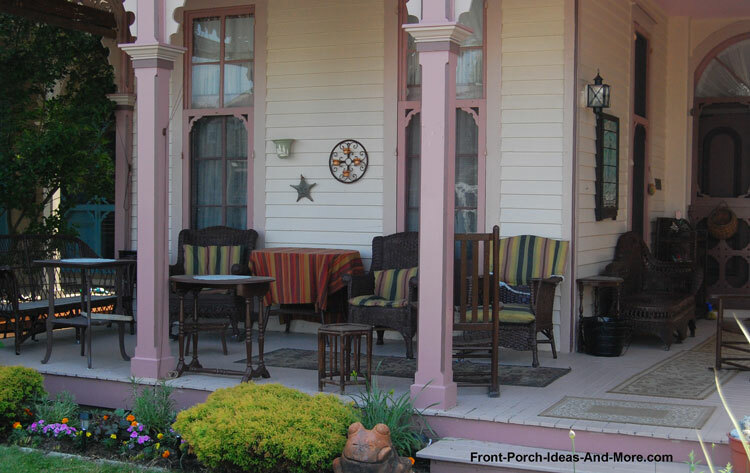 Nice comfortable front porch with rocking chairs - time for some porch sitting. 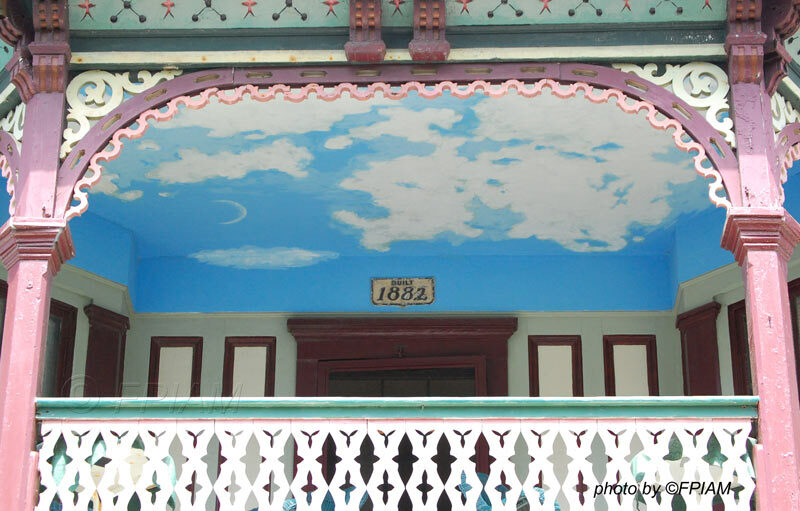 Haint blue ceilings are traditional colors for front porches and have an interesting history. 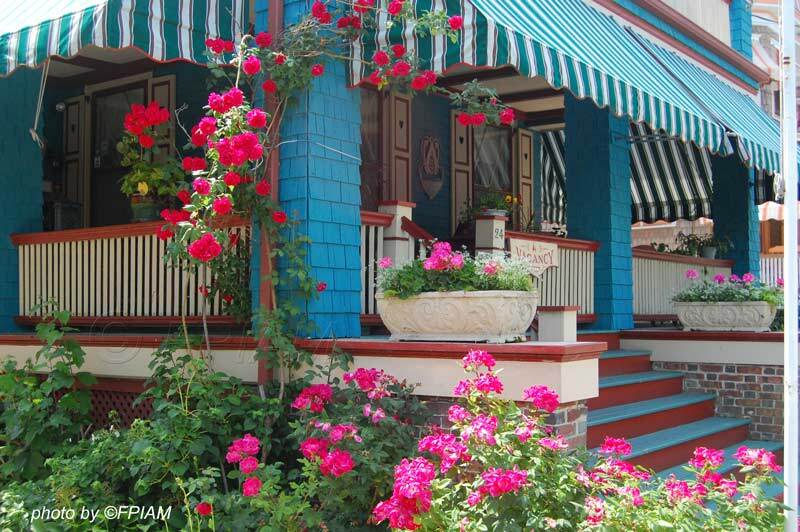 Climbing red roses on blue porch; like the blue porch steps too. 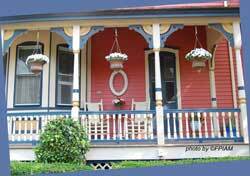 Note the porch columns with the extra trim near the tops. 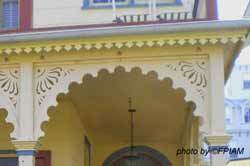 This, along with the ornate brackets give the columns a finished look. 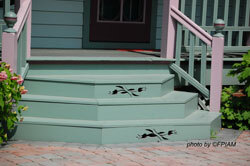 Front Porch Railings Railings can be very ornate and painted to match the decor of the Victorian porch. 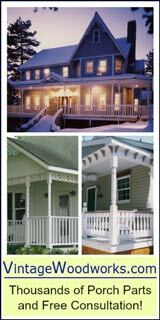 Front Porch Columns - Consisting of three separate parts (a base, capital, and shaft), porch columns on Victorian porches are normally turned (or rounded). Although historically painted white, you will normally find them painted in several complementary colors. 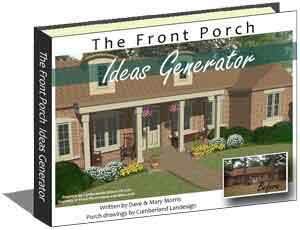 Porch columns are used to support the porch roof. 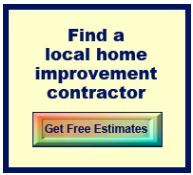 Wood Flooring - Usually tongue and groove pine floors and painted to either match the home's color or can be complementary. 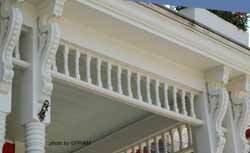 Porch Cornice Brackets - Often paired, cornice brackets hold up the cornice. 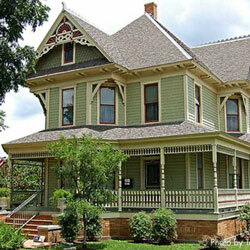 Gingerbread - Truly Victorian, this feature really makes the porch standout and is aesthetically pleasing to the eye! 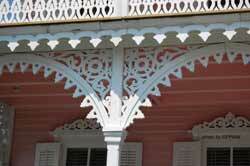 Porch Spandrels - Decorative in nature, spandrels can be either horizontal or curved. 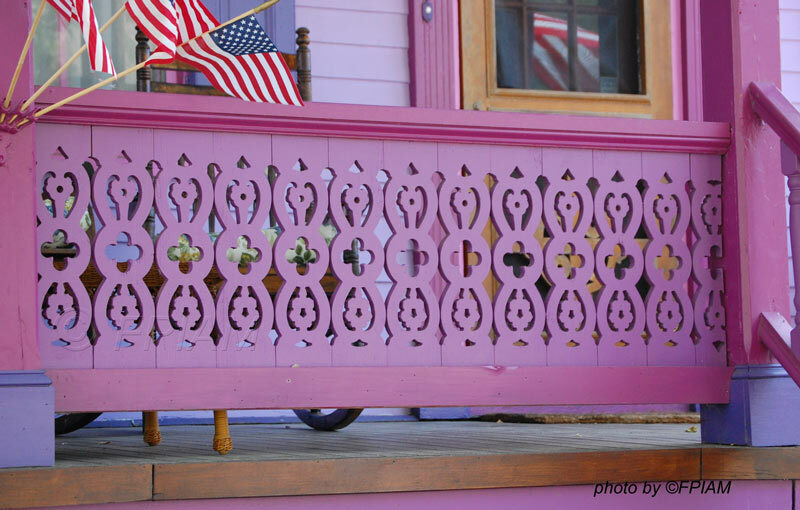 They truly add an artistic flair to any porch. 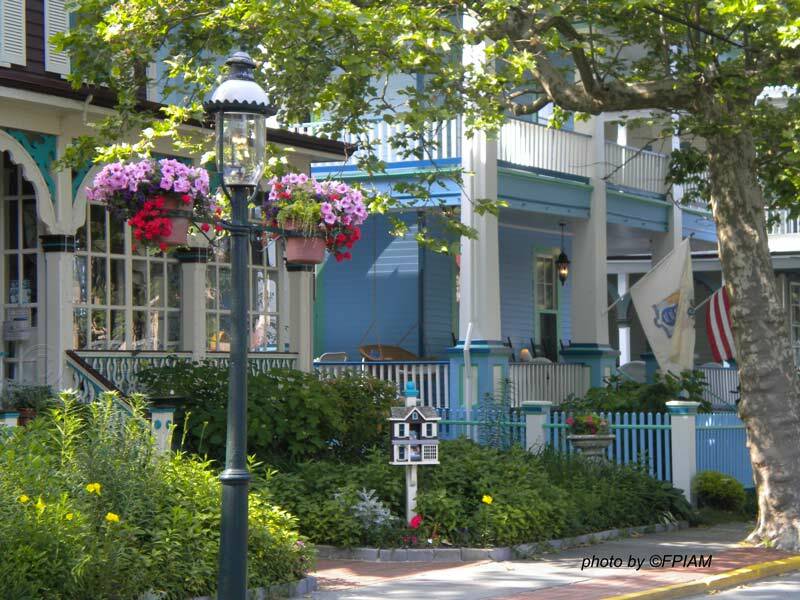 Mary and I recommend you consider taking the Cape May - Lewes Ferry to or from Cape May, New Jersey. It's relaxing and fun and cuts miles off an otherwise long drive depending on where you are. It only takes about 85 minutes to cross the 17-mile bay and you can take your car or just walk on if you'd like. It was so easy to do. We arrived about 30 minutes prior to loading and we were directed into the appropriate vehicle line. In a short time we drove onto the ferry. Kids will love cruising across the bay and you can enjoy the gift shop or grab a bite to eat. Watch for dolphins or enjoy the sea birds and salt water breezes. Take a light sweater or jacket if you prefer sitting outside during your cruise across the bay. It can be windy and a bit chilly. Enjoy this video from aboard the New Jersey, one of several ships in the fleet that ferry passengers between Cape May, New Jersey, and Lewes, Delaware. Want more information? Be sure to check out the Cape May Lewes Ferry web site. 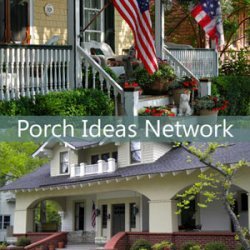 If your town has pretty porches, then please contact us. Who knows? We might stop by. 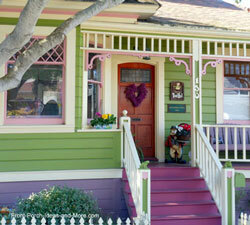 Gingerbread trim is what makes a Victorian home a Victorian.....see more!